New players only • To withdraw bonus & related wins, wager 30 x (bonus amount) within 90 days • Wagering requirements vary by game • Bonus wins are capped at £500 • FreePlay & Free Spins expire after 14 days. 77 Free Spins: Predefined bet amount of £0.25 per spin • With the exception of a Jackpot win, max winnings = £20 Bonus • Must be claimed within 48 hours of receiving the email • Withdrawal restrictions & full T&Cs apply Deposit Bonus Offer: 100% up to £200 FreePlay • £20 minimum deposit • FreePlay winnings are credited as bonus and capped at the amount of FreePlay received, unless a Jackpot win • Withdrawal restrictions & full T&Cs apply. Created by the Malta-based company Genesis Global Limited, Genesis Casino arrived with a really big bang in 2018 with a space theme and a collection of universally loved games. The online casino is fully mobile optimized, with trendy, innovative design that revolves around two ideas – simplicity and perfect vision. 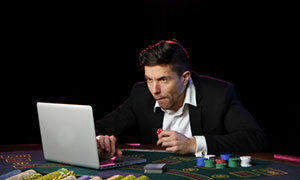 The instant-play platform of Genesis Casino is smooth and user-friendly, allowing quick access to the games from any laptop, desktop computer or mobile device. The dark colour palette works wonderfully with the cosmic scenery and the space theme of the website, which comes as a fresh addition to the legion of bright and colourful casinos you can find on the Internet today. In terms of gaming variety, the casino truly excels thanks to its partnership with leading software providers such as Evolution Gaming, Net Entertainment, Microgaming, Play’n GO and NYX. As a result, players can enjoy hundreds of slots, card and table games, video poker, and live dealer games. Licensed from the Malta Gaming Authority and the UK Gambling Commission, Genesis Casino accepts registrations from a large number of countries. It process payments in multiple currencies and its website has versions in several languages, while the banking methods include internationally recognized brands such as MasterCard, Visa, Skrill, Trustly and Paysafe. The financial transactions, as well as all user data shared with the casino, is protected by the latest technological solutions and encryption methods. The mobile casino is just as fast, functional and responsive and is accessible from all modern mobile platforms, including iOS and Android. One of the greatest appeals of Genesis Casino, however, is its array of promotional offers. Along with an astronomical welcome bonus of 100% up to £100 and 300 free spins on Starburst, the casino has a fantastic Weekly Mission Bonus. You can explore the gaming universe by depositing £50 from Monday till Thursday each week and receiving a 25% match bonus of up to £100 on Friday. 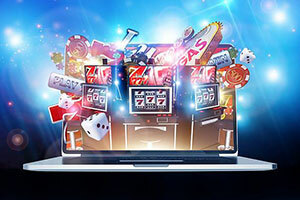 Online Since The brand new Genesis Casino was established as the flagship brand of Genesis Global Limited in 2018. Deposit/Withdrawal The minimum amount of money you can deposit is £10, while the maximum you can top up your account is £5,000 per transaction. You can withdraw no less than £10 and the maximum amount for withdrawals is £1,900. Usually, deposits are instant but it could take up to 3 business days for a withdrawal to be processed. No Deposit Bonus Currently, Genesis Casino does not offer a no-deposit bonus, but it has other interesting bonuses on its Promotions page. Welcome Bonus As part of Genesis Casino’s Welcome Bonus, all newly registered players receive a 100% match bonus on their first deposit of at least £10. It is optional and can reach £100, but there is a 40x playthrough requirement that needs to be met before you can withdraw any winnings generated from the bonus. In addition, the casino gives new members 300 free spins on Starburst – 30 spins a day for 10 consecutive days. 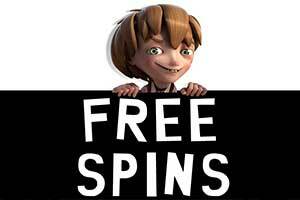 The free spins are valid within the first 72 hours after receiving and the winnings from them are limited to £100. Deposits via Skrill and Neteller are not eligible for the New Player Welcome Bonus. Regular Bonuses With the Weekly Mission Bonus, the casino returns on Friday 25% of the amount you deposited from Monday until Thursday. 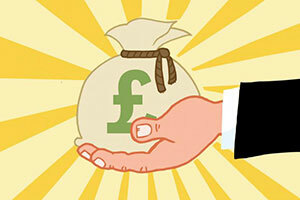 To be eligible for this promotion, you need to make at least deposits at a total value of £50. The other bonus, called Lightspeed Monday, covers the rest of the week – you need to deposit and wager at least £10 from Thursday to Sunday and you will receive free spins on Monday. Each week, the number of spins will be different as will the slot they will be valid for. 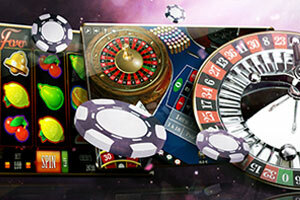 All bonuses and the winnings from the free spins are subject to a 40x wagering requirement. Loyalty Programme/ VIP Club Genesis Casino has a VIP Programme every player may enroll in but there is no information about how to qualify and how to enter the VIP club. There are lots of perks to enjoy – VIP members can benefit from personalised birthday presents, exclusive bonuses, monthly VIP prize draws, personalised withdrawal service, holiday packages, exclusive VIP events, dedicated account manager, and even flights to Las Vegas. Software The online casino uses the same software as the other brands of Genesis Global Limited and you can find games by industry leaders such as NetEnt, Play’n GO, Microgaming, Evolution Gaming, and NYX. Popular Jackpots Players at Genesis Casino will enjoy dozens of slots and poker games that feature progressive jackpots. There are plenty of popular jackpots such as Hall of Gods, Mega Moolah and Mega Moolah Isis, Major Millions, Divine Fortune and King Cashalot. Game Types The lobby at Genesis Casino hosts all types of games so no players will be disappointed – video slots, classic fruit slots, card and table games such as roulette, poker, blackjack and baccarat, video poker, and live dealer games. There are also scratch cards, bingo and Keno games, as well as several fun, arcade-like games for those that look for something different. Live Casino Genesis Casino features a modern, sophisticated Live Casino powered by multiple gaming studios, including NetEnt and Evolution Gaming. Players can choose from dozens of blackjack, baccarat, roulette and poker tables with various betting limits. Mobile Casino A large part of the games in the lobby is also mobile optimised and can be played on the go from any kind of mobile device. Whether you have an iOS, Android or Windows Mobile-powered phone or tablet, you can enjoy top quality slots, card and table games, and even live dealer games in HD from anywhere. Currently, there is no native app to download and the site of Genesis Casino loads in the browser of your phone. 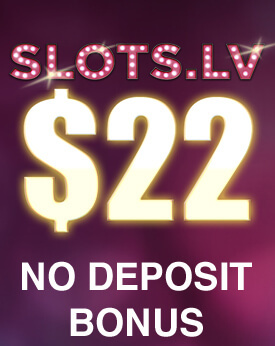 Deposit Methods Genesis Casino has a convenient and user-friendly Cashier system that allows players to choose from many locally or universally accepted payment methods. They are all safe, reliable and guarantee instant deposits into the casino. Currently, you can top up your gaming account via Visa, Visa Electron, MasterCard, Maestro, Boku, Paysafe, Skrill, Neteller, ecoPayz, Trustly, and Entropay. Several other services may be available, depending on the country of residence, namely Entercash, Zimpler, SOFORT, Giropay and Euteller. Currencies The online casino welcomes players from all around the world and accepts payments in the following currencies – GBP, USD, EUR, CAD, AUD, NZD, SEK, NOK, DKK, CHF, BGN, PLN, CZK, RUB, HRK, HUF, CNY, KRW, MXN, RON, etc. Languages The website is available in several languages, including English, German, Swedish, Norwegian, and Finnish. Licences Genesis Casino is operated and managed by Genesis Global Ltd., a company based and registered in Malta. The company is licensed and regulated by the Malta Gaming Authority in virtue of a Class 1 licence MGA/CL1/1150/2015. For UK customers, Global Genesis Ltd is licensed and regulated by the UK Gambling Commission, Licence Number 000-045235-R-324169-006. Despite being so fresh and new in the world of online gambling, Genesis Casino has managed to secure a successful partnership with a large number of gaming studios. It works with companies like Yggdrasil, NetEnt, Microgaming, Play’n GO, Quickspin, Evolution Gaming and NYX in order to provide its customers with games of all types and genres. The gaming library consists of more than 1,300 titles – video slots, roulette, video poker, blackjack, poker, scratch cards, classic slots, progressive jackpots and live dealer games. Before you register at Genesis Casino you have the opportunity to play the games for free – you just need to select the game you are interested in and opt for “Try” instead of “Play”. 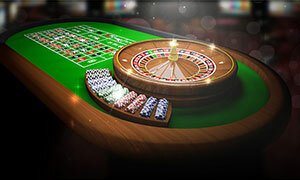 Most of the slots, table games and scratchcards are available in practice mode and the only exceptions are the progressives and the games in the Live Casino section. Once you open a game, it loads fast and a beautiful theme from its storyline is displayed in the background. Each game also comes with its own soundtrack or authentic casino sounds for a more entertaining, immersive gaming experience. Just like the majority of casinos on the web, Genesis Casino puts a huge focus on the slots as this is what online players are often most interested in. The collection of slots at the website is divided into several categories and under Online Slots, you can find all retro and modern slots, including popular classic fruit machines such as Fruit Slots, Seven’s, or Bell of Fortune or much more graphically superb games with five or more reels, multiple paylines and a wide variety of special symbols and bonus features. 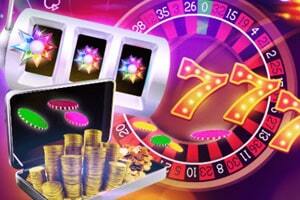 There is an impressive list called Video Slots where all these modern, visually stunning games can be found. Some of the popular titles on offer are Gemix, Immortal Romance, Gonzo’s Quest, Valley of the Gods, Vikings Go Berzerk, Holmes and the Stolen Stones, Troll Hunters, and Starburst. 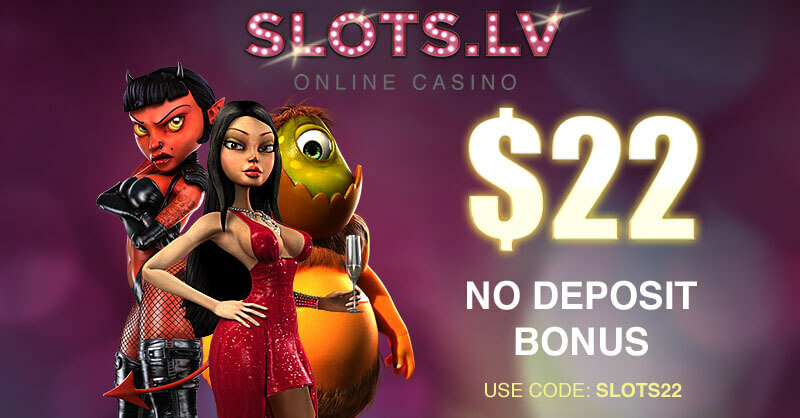 There are stunning 3D slots, interesting slot series, as well as games based on movies and TV like Battlestar Galactica, Jack and the Beanstalk, and Jack Hammer II just to name a few. You would not see many online or land-based casinos that offer more than a handful of roulette games but the selection of variations at Genesis Casino is really impressive. Most of the versions are live but there are also all kinds of virtual roulette games for all kinds of players and more importantly, for all budgets. All basic types of roulette are present, including NetEnt’s European Roulette where you can place all standard inside, outside and neighbour bets, as well as racetrack bets. The beautifully designed game comes with a wide betting range – from £0.10 to £1,200 per spin, statistics and Auto Play mode. There are several similar versions, namely European Roulette Pro by Play’n GO where you can place French-style bets and wager from £1 to £1,000 and enjoy a clean, modern design, or European Roulette Gold by Microgaming, which offers many advanced features and a mobile-friendly design. You can also opt for French Roulette or English Roulette, which are almost the same, or explore a version that is more different from the classic game such as Multi Wheel Roulette Gold, where you can bet on several wheels at once. The lobby also features American Roulette, Roulette Master, Advanced Roulette and Premier Roulette. There are plenty of blackjack variations at Genesis Casino, as well, and they can be found under the Table Games category. From classic versions to interesting forms of Twenty-One that barely resemble the original game, you have a huge choice of variations and betting limits. Of course, you should also make sure you know well the rules and basic strategy of playing blackjack, which is why you might want to play a few times in practice mode. You can then choose from traditionally popular games of blackjack that follow the standard American rules. One of them is the four-deck Vegas Strip Blackjack, which runs on Microgaming’s Quickfire platform and features a hole card as all American-style forms of blackjack. The dealer here peeks for blackjack if he has a 10-valued card or an Ace and stands on all 17s. Another interesting game is Single Deck Blackjack by Play’n GO, which is played with only one deck of cards but compensates with unfavourable 6 to 5 blackjack payout. You can split just once and you are allowed a late surrender. Another significant feature of this game is that it could be played with up to 3 hands simultaneously. 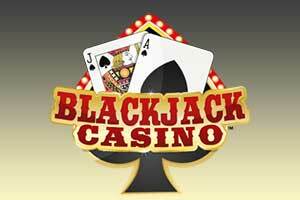 Other blackjack variations you can play at Genesis Casino include Vegas Strip Blackjack Gold, Atlantic City Blackjack Gold, High Limit European Blackjack, Classic Blackjack Gold, Spanish 21, Multi Hand European Blackjack Gold, Hi Lo 13 European, Big 5 Blackjack Gold, as well as classic Blackjack. Video poker is often described at some online casinos as a “speciality game” or categorized in “other games” because it resembles slot games more than anything else while following the rules of poker. Unlike the classic card game, however, it is simple especially in its most standard variation, Jacks or Better, which can be played for free or for real money at Genesis Casino. Although video poker does not have its own category in the lobby, a simple search with the keyword “poker” would show you all variations of this exciting game. There are both single and multi-hand formats, with the latter allowing you to play with up to 100 hands simultaneously. You can choose from several versions of Jacks or Better and one of the best releases available is by NetEnt. It is a full-pay video poker game, where the payouts for Full House and Flush are 9 and 6 times the amount of the bet, respectively. Microgaming’s Jacks or Better Power Poker, played with 5 hands, is also a full-pay variation. There are many other games you can try, however, such as Tens or Better, All American, Deuces Wild, Joker Poker, Double Joker Power Poker, All Aces, and more. All variations that feature Power in their title are multi-hand video poker games and you should be careful how much you bet on each round. All good online casinos offer games with progressive jackpots and Genesis Casino is no exception. It has prepared a lovely collection of progressives that could be found under the Jackpots category. The appeal of these games lies in the nature of the jackpots – progressive jackpots increase with every bet placed on them. So, the more popular a progressive game is, the larger its jackpot. And Genesis Casino is a wonderful place for all players who chase the big winnings as its lobby hosts all the largest progressives today. This includes Microgaming’s legendary Mega Moolah and NetEnt’s famous slots with huge jackpots Hall of Gods and Arabian Nights. Other popular titles here are Major Millions, King Cashalot, Divine Fortune, Tunzamunni, Treasure Nile, and Gift Shop. A dozen of additional jackpot slots are also hosted here, as well as several live poker games with progressive jackpots such as Caribbean Stud and Texas Hold’em Poker. Another game in this section is Jackpot Poker, a video poker variation that can be played in practice mode. The progressive jackpot here is given when you get Royal Flush while playing with the maximum number of coins but you should know that the RTP (return-to-player) is lower at 91.30%. In comparison, most video poker games have a theoretical return of around 98% – 99.60% or even more. If you are looking for an authentic casino experience and the virtual games are just not enough, you should visit the Live Casino section. Here, you can play a wide variety of live casino games from anywhere in the universe, Genesis Casino says. 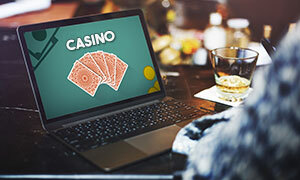 The truth is, that place in the universe will need to have Internet access and allow gambling in order for you to enjoy the many offerings in this section of the online casino. There are tens of blackjack, roulette, poker and baccarat tables where you can “sit” alongside your fellow players. Each table has different betting limits and you can opt for the one that is suitable for you. Along with the high-roller games, there are also several VIP tables and different language tables. Interestingly, the live dealer games at Genesis Casino are provided not by one software provider like in many other gaming sites but by several different studios, so there will be slight differences in the rules, the gameplay, and the quality of the live video feed. Overall, all games are streamed in HD and are hosted by friendly, professional dealers. Some of the live lobbies are also available on mobiles. Are There Any Requirements to Start Playing at Genesis Casino? First-time visitors can play many of the games at Genesis Casino in practice mode without even registering an account. In order to play for real money, however, they need to sign up, providing personal information such as name, email address, country of residence, physical address, and phone number. Once the registration is complete, they can proceed to deposit (the minimum amount for deposits is £10) and can claim the Welcome Bonus. Is Genesis Casino Safe and Fair? Just like all reputable online casinos, Genesis Casino has taken a number of security measures such as firewalls, SSL certificate and RSA encryption to ensure all data entered by users is kept private at all times. Transactions are completely safe and fairness is guaranteed through certified and tested RNG (Random Number Generator) used for all games offered at the casino. The Welcome Bonus is available only to players who register a new account at Genesis Casino and make a minimum deposit of £10. Once you do that, head to the Cashier and select the bonus from the drop-down box and your deposit will be matched 100% to a maximum amount of £100. In addition, you will receive 300 free spins on NetEnt’s popular slot Starburst – you will be given 30 spins every day for 10 consecutive days. Are There Any Country Restrictions Regarding the Welcome Bonus? 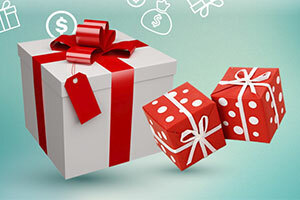 The first deposit bonus at Genesis Casino is available only to users at the age of 18 or above. Unless stated otherwise, players from the following countries are not eligible for the bonus – Lithuania, Belarus, Latvia, the Czech Republic, China, Bulgaria, Poland, Bosnia, Herzegovina, Croatia, Greece, Republic of Moldova, Malaysia, Georgia, the Philippines, Kazakhstan, Australia, Slovenia, Vietnam, Thailand, Indonesia, Nigeria, Bangladesh, Mongolia, Belgium and Ukraine.